After about three years my last set of batteries died (I run 24 volts) What has been the best for you guys. I only fish 25-30 times a year. 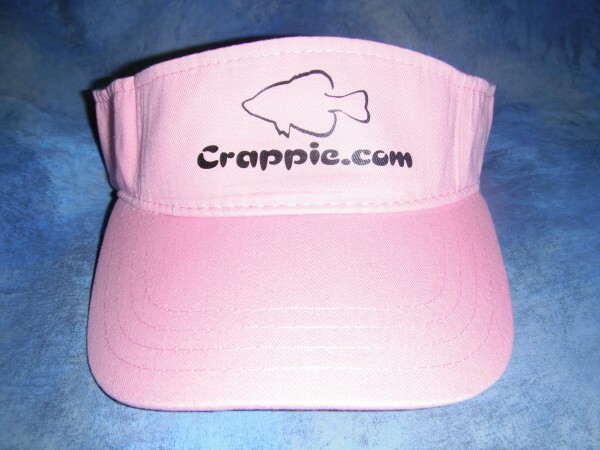 I anchor most of the times I fish for Crappie so I don't use a lot for trolling then. I do however fish for Large Mouths during the summer months at night and will troll quite a bit. In the past I have purchased off the rack From Wally World or some place like that. What has worked for you guys. And just to piggyback off Eddy Creek Bandit's question, what's the best battery for night stalking, and how many would you recommend just for lights? Don't waste your money on spiral cells.I talked to a guy that is in the battery business and he told me not to buy them--there a lot of hype--mainly there light weight so places like cabelas and bps can ship them anywhere in the country and shipping cost stay low.Look at the trojan batteries.lOOK AT THE J150. I am listening here too. I priced batteries this past weekend at advanced autoparts and wally world. (went to wally world at 5:30 in the morning to avoid any crowd) this may sound stupid but i saw deep cycles at both in two different sizes. I did write down the volt hours, etc. I see someone posted on spiral cells. I figure it would be economically better to buy two deep cycles as opposed to one spiral cell. Plus, a lot easier to discard a $60.00 battery than a $`150.00 one. From what i see, i don't fish near as much as some of you and they seem to work fine. IMHO. If you can find them, I use to have a Big Momma battery that lasted me for 3 years until I sold the boat to my brother and the battery still holds a charge to this day and it is between 4 and 5 years old. I know the name sounds funny and I laughed at them when I bought the battery but when I sold my boat I was looking for that same battery for my other boat. The cost was around $65. Try the boat dealerships, that is where I found mine. I use everstart from the wal-mart.i have a new boat less than a year old and the interstate batt. has already died. make sure you get the deep cycle for trolling. I have had just the opposite experience with the Interstates and the Everstarts. I have never had an Everstart last me over 2 years. The last Interstates on the boat I sold last year were 3 years old and are still good. What ever battery you buy make sure you recharge them everytime you use them and use a charger for a deep cycle battery. A regular battery charger will ruin a deep cycle quick! Delco voyagers are one of the best. Have been using them the last ten years and average 5 years out of a set. I just put a pair of AC Delco voyager batteries in my boat. I have heard nothing but good about them. The price was right also. Have the 31XHS Trojans. A bit pricy but they seem to recharge well. Have not had much luck with any other brands, except Interstate. I like Delco Voyagers also they are not much more than Wal Mart batteries and should last longer the Delco's I have owned have been great. Delcos are great batteries. As are the Trojans. I have a set of Delcos that have seen serious use for 7 years and are beginning to fade a bit. I bought a "new to me" Ranger that has a set of new "neverstarts" in it and will replace them with Delcos when they are shot. Folks call the Cabela's AGMs "Vampire Batteries" cause you can't kill them. Google AGM Batteries, you will be impressed with what you read. When I was researching the subject last year the overwhelming consensus......overwhleming consensus is that the Optima batteries are the best you can buy. They are not cheap but they are definately worth it. I used mine a good bit last summer running lights and various accesories. Last week I was getting ready to use it for the first time and was worried about the its charge level. Hooked it up to my charger and in less than 10 minutes it was reading a full charge. They are weather proof and spill proof. I won't be buying any other batteries than Optima from now on. I got mine at Sears. Check em out! Delco Voyager or Trojan... go to the Bass Fishing Home page and run a search. The results are overwhelming. I run a Group 27 Trojan dual purpose for my starting battery... Pumps and electronics discharge a battery partially and the dual purpose can be recharged more often before giving out. Would probably go with the Delcos next time... sealed. My battery space is quite cramped and the Flo-rite remote fill hasn't worked like I thought it would. Where do you buy the Delco brand? I have tried every auto parts store in my area, they do not have nor can they get. I am almost convinced to go Delco. I think NAPA now carries Delco. GM dealers can order them for you. I used to use "neverstarts" from Wal Mart but got tired of replacing them about ever 24-27 months. Saved up my money and bought a optimium battery. Treat it the same way I did the "neverstarts" and it has out performed them big time. The biggest thing I can see is with the new trolling motor I can go all day with the old battery I was doing good to get 3 hours out of it. But if it was me I would save up and get a optimium or trojan battery. Eddycreek Bandit you can get them at Story's Electric in Paducah call them before you go if they dont have the ones you want they will have the next day. I had a hard time finding them last year finally someone told me about them. they no longer sell the marine batteries there.